Miniature, yet powerful. This little butane stove will get things hot in two shakes of a lambs tail. It threads onto your standard butane canisters (these can be purchased from us if you need). I prefer these small units when heading into the backcountry. I also like to use one for important operations, such as getting water ready for coffee. You will need a lighter or matches. We usually have some for sale if you didn't bring yours. 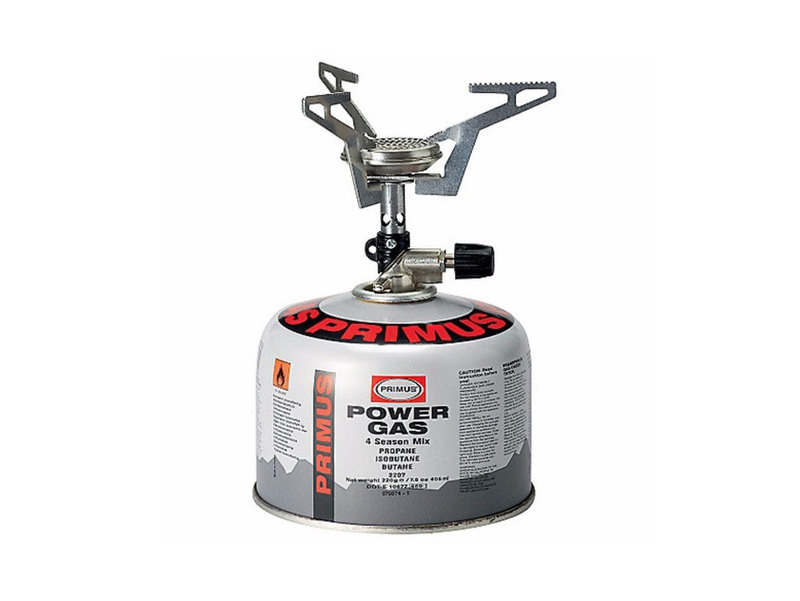 The Primus Express gas stove.